When St. Petersburg Catholic High School opened its doors on 9th Avenue North as Bishop Barry in 1957, the faith-based educational institution set forth with a mission to cultivate the spirit, mind, and body of its students. 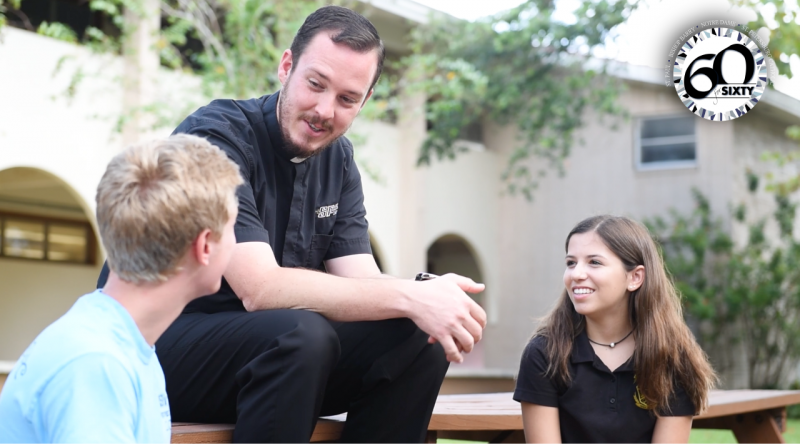 With a history of love, unconditional care for youth, and a proven record of success as a college preparatory school, SPCHS is a prominent thread in the fabric of Tampa Bay area education. As the scope of traditional fundraising continues to change, non-profits like SPCHS are in need of new and innovative ways to connect with donors to support their academic endeavors and legacy. During a recent campus visit, Bayshore Marketing Group noticed the school had reached its 60th anniversary and recognized a unique giving opportunity to bridge the relationship between SPCHS and its alumni. Within 48 hours, and completely unsolicited, the “60 for 60 Campaign” was born. Using a targeted media strategy through SPCHS’s Facebook pages, Twitter, Instagram and LinkedIn channels, the three-month campaign asked for a small donation of $60 to celebrate the school’s 60th year of service to students and the greater community. The goal of the 60 for 60 Campaign was simple, to raise $10,000 in support of the school, but it quickly transformed into an emotional reconnection between alumni and their beloved alma mater. Bayshore Marketing Group facilitated a successful fundraising campaign with a competitive edge that allowed alumni to donate on behalf of their graduating class. At the close December 2017, the 60 for 60 Campaign reached over 80,000 impressions on social media and raised a staggering $41,375.67 from its generous benefactors. The proceeds from the campaign contributed to tuition assistance, instructional and learning enhancement, student life programming, and the school’s annual fund. To celebrate the success of the campaign, Bayshore Marketing Group will join St. Petersburg Catholic High School at the 60 for 60 Celebration Party, Friday, February 2nd, to honor the generous alumni and donors and to unveil the 60 for 60 plaque, recognizing each participant by name for their generous investment in Catholic high school education. To learn more about the detailed metrics of this campaign and find out how Bayshore Marketing Group can help your organization reach its fundraising goals with exciting and creative campaigns see our Portfolio with all of the results and details.